The PWO committee sponsors an annual 5-day operator school in Leadville, Colorado in August. 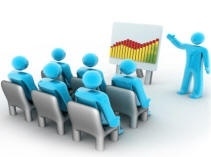 The committee also sponsors various 1-day seminars scheduled throughout the year. Contact information for the seminar coordinators is listed below. RMWEA sponsored training is offered at member and non-member prices. Generally, non-member registration fees are $35 higher than member fees for one-day seminars and training events. Non-member prices include a one-year associate membership in RMWEA if desired. Non-members must pay non-member registration fees regardless of whether they decide to become associate members. Attendees who choose to become members will receive our bi-monthly journal, RUMBLES, and our monthly electronic newsletter, e-Rumbles. New members are eligible to attend future training events at member prices.